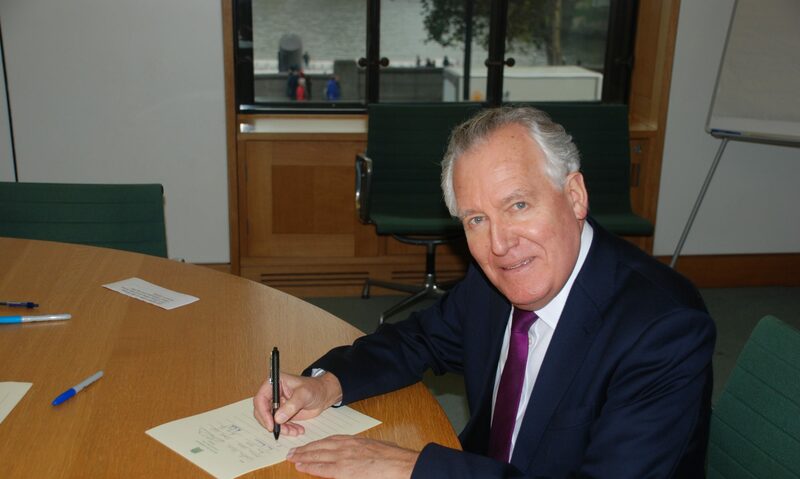 Mr Peter Hain (Neath) (Lab): Does the Foreign Secretary accept that his use of terms such as “flexibility” and leaving “all options” on the table could be a prelude to western-backed military intervention, and that that would be disastrous? The cross-party support for his condemnation of the barbarity of Assad’s regime and for political transition would disappear, because this is a civil war. This is not a barbarous dictator versus his people; it is an increasingly deepening civil war and it will not be resolved by military action. Mr Hague: Let us be clear that it is a barbarous dictator oppressing his own people. I hope that the right hon. Gentleman will not feel it necessary to argue with something that I have not said; there was no mention in my statement of military intervention, nor any advocacy of that. He is setting himself up to argue with a position that the Government have not taken. [Interruption.] Yes, I am not ruling out options, but I do not think we can do so when we are facing a situation where a six-figure number of people might die this year. It would not be responsible to do that as we do not know how the situation will develop. So I am keeping our options open, but the dangers and drawbacks of military intervention are well understood in the House and in the Government.